The Wind-Up Puffer Frog has a unique stretchy coat that's fun to fiddle with. Its cute little eyes and puffer tentacles will bob up and down as it hops across your desk or table. 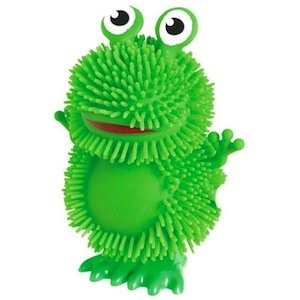 Add this cute frog wind up toy to your collection or purchase one as a gift for your favorite frog-lovin' friends.